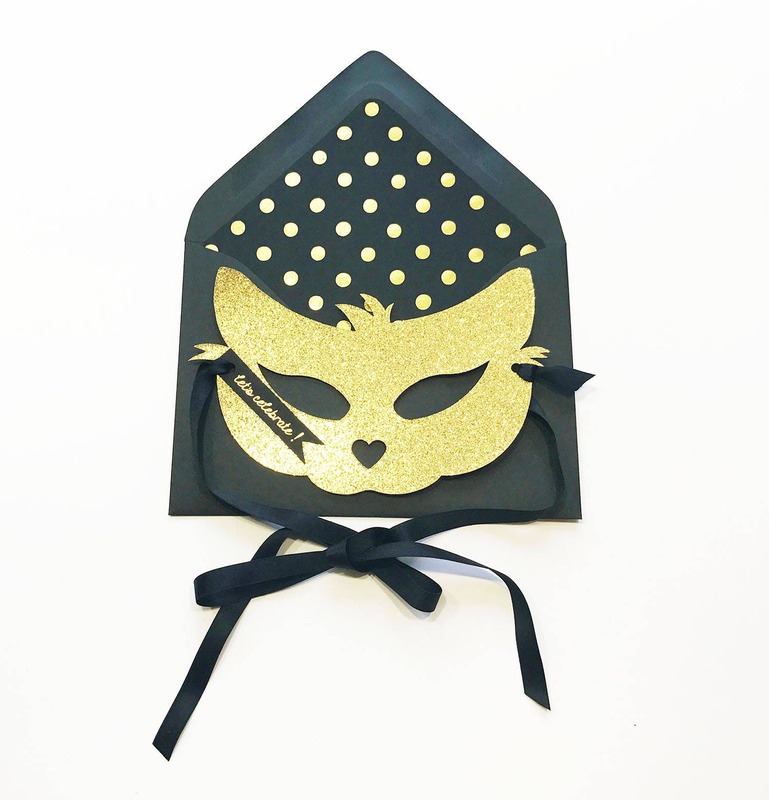 Super sparkly glitter cat mask with coordinating satin ribbon. Send also as a card......a little "let's celebrate" in gold foil tag attached. The paper is glitter paper card stock. It is flexible and is not too rigid but sturdy enough to wear as a mask for your party events! --not recommended for children ages 3 years and younger.